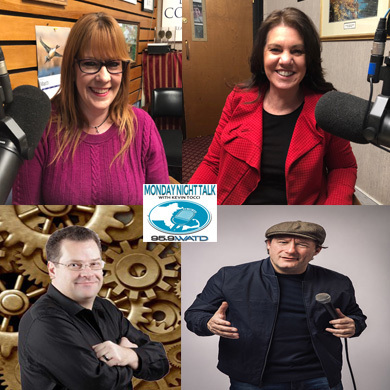 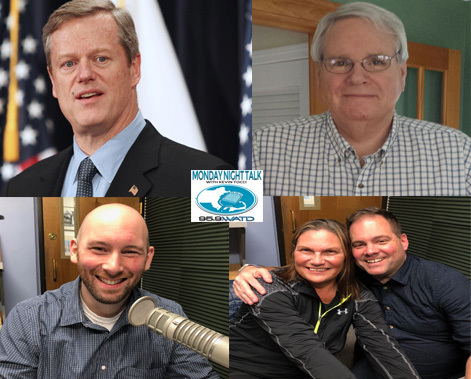 Check out the newest Monday Night Talk radio show podcast from April 8, 2019 featuring Massachusetts Governor Charlie Baker; Brockton Councilor-at-Large Win Farwell; Joe Weeks, Director of the Community Service Agency at Bay State Community Services; Wacoal Awareness Ambassador Heidi Floyd and from the True Repertory Theatre, and appearing in the upcoming production of The Crucible, Don Sheehan and Chris Bailey!!! 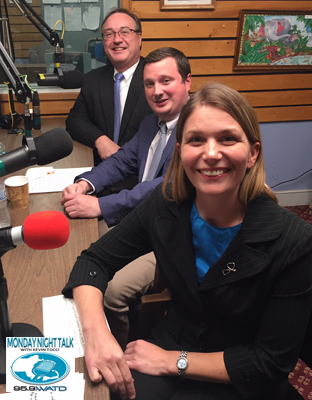 Welcome to the October 1, 2018 Monday Night Talk show which featured a political forum with the three candidates running for Plymouth Norfolk State Senate District: Republican State Senator Patrick O'Connor, Democrat challenger Katie McBrine and Independent candidate Stephen Gill. 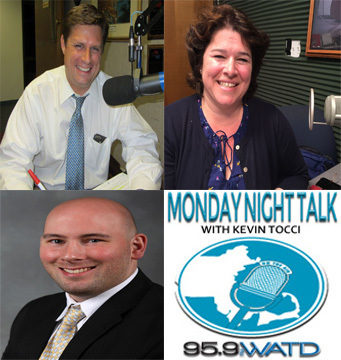 The forum was moderated by WATD managing news editor Christine James, with question being put to the candidates by WATD's Kevin Tocci and Jessica Trufant from the Patriot Ledger. 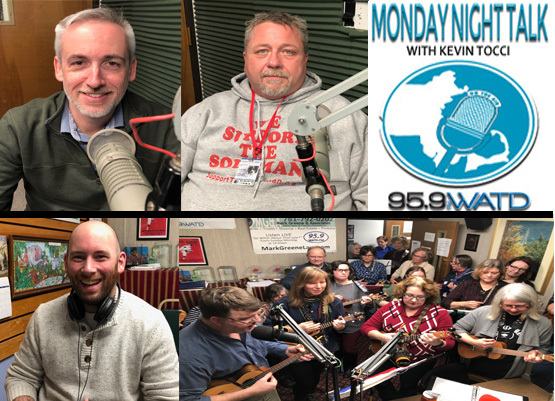 Welcome to the Monday Night Talk radio show podcast from December 4, 2017 with host Kevin Tocci featuring Plymouth County Commissioner Dan Pallotta (Sale of the county's Registry of Deeds building in Brockton); Whitman Town Administrator Frank Lynam (Articles on the upcoming Special Town Meeting); Dr John Huber (Dealing with the shock of a co-worker being fired) and Jay Wertz, author of a new book, "The World Turns To War." 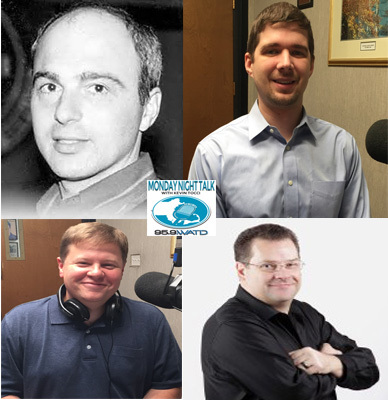 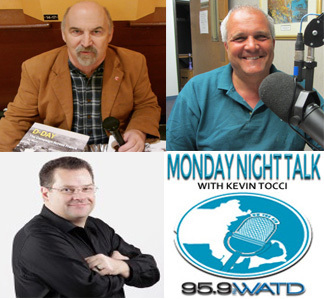 Welcome to the Monday Night Talk radio show podcast from June 26, 2017 featuring Weymouth Councilor-at-Large candidate Fred Happel; Joe Rossi, Chairman of the Marshfield Citizens Coastal Coalition; Chairman of www.mainstreammentalhealth.org, Dr John Huber and automotive expert who publishes weekly for Gatehouse Media Junior Damato!!! 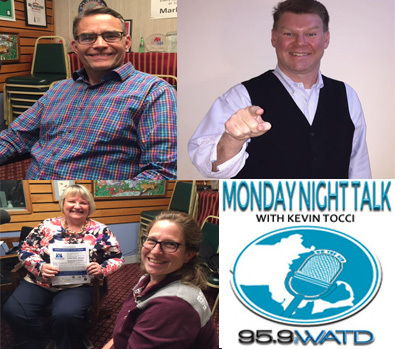 Here's the latest Monday Night Talk radio program with host Kevin Tocci that aired on May 1, 2017 featuring State Representative Geoff Diehl; Jocelyn Keegan, a candidate for the Hanover Board of Selectmen and Joe Weeks, who is the current Massachusetts Mental Health Councelors Association President and the next President of the American Mental Health Councelors Association!